A bit about my quail and a few notes on raising them. My Quail are happy quail. They are fat and sassy and get tons of treats. I keep my birds in a 5'x5'x7' aviary with a tin roof. The aviary has a section that is completely covered and can be locked a night like my chicken coop. The rest is open aside from a small section that has plywood sides to keep them out of the wind when they choose. They have several hiding places and a row of enclosed nesting boxes at one end, but they don't seem to use them much. the bottom of the aviary is completely graveled in to keep it from mudding up is it floods. My birds are fed Payback Gamebird Ration which is a 20% protien feed. Quail need the higher protien to keep up with their high energy lifestyle. They lso get a few millet sprays and lots of treats daily. Treats include apples, tomatoes, and spinach which they love. They are very fat and healthy in their little aviary. 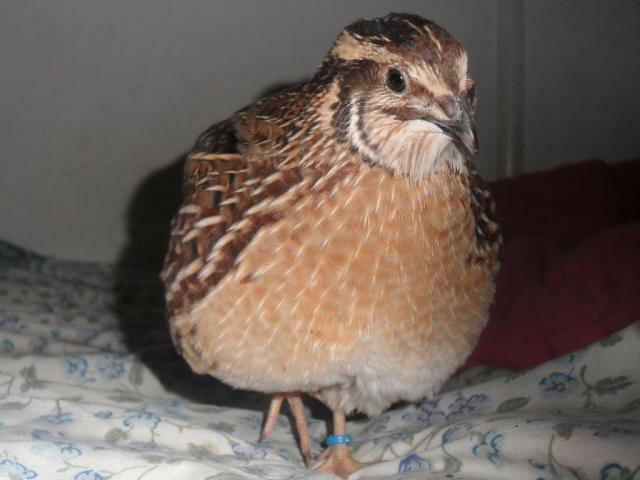 I raise Coturnix Quail and have recently aquired Button Quail as well. Quail aren't as cuddly as chickens. Most don't like being held and can be extremely flighty at times. They can be fairly calm, particularly the Coturnix, but still aren't chickens. My Buttons are slightly more flighty than my clam Coturnix, but they are much smaller and eat less feed. Quail eggs are very yummy and quail can lay eggs the same as chickens. That is what I raise the Coturnix for. Quail also consume less feed per pound of eggs than a production laying hen. 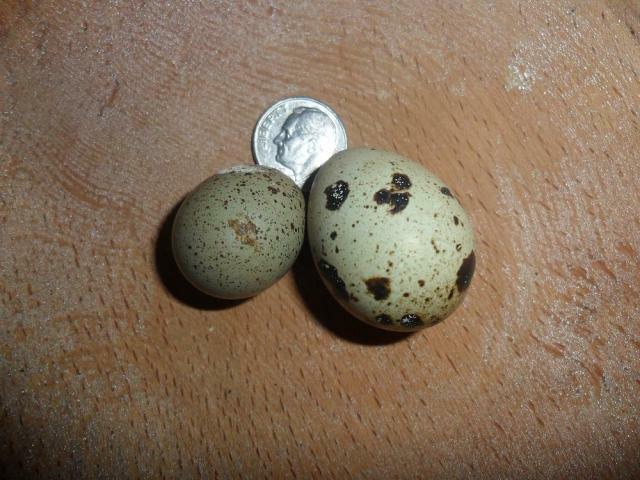 Quail eggs are smaller than chicken eggs, but are more digestable than a chicken egg. They are valued as craft eggs and similar thing. A button quail egg on the left and a coturnix egg on the right. 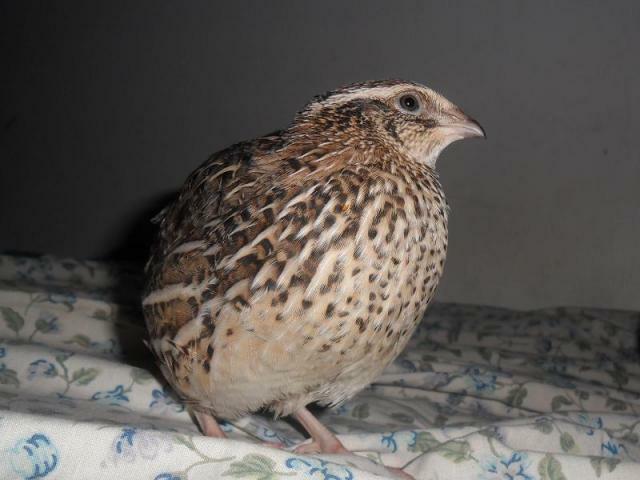 Killer, a male Brown Coturnix Quail. Colline, a Brown Coturnix female.